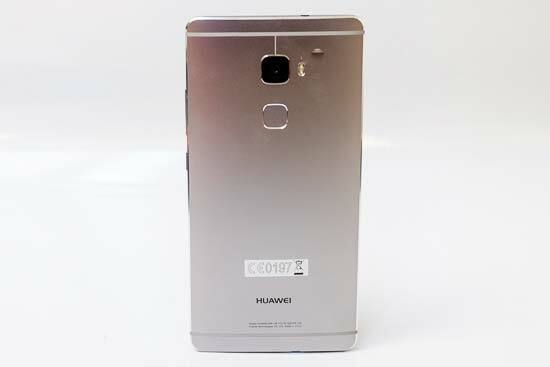 The Mate S is Huawei's flagship smartphone and boasts an eight-core, 2.2GHz processor paired with 3GB of RAM. Its camera has a resolution of 13 megapixels and can record 1080p video at 30fps, while the lens boasts optical image stabilisation, a fast f/2 maximum aperture and a 29mm-equivalent focal length. There's also an 8-megapixel, wide-angle front-facing camera with a BSI sensor, and a 5.5-inch AMOLED screen with a resolution of 1080x1920 pixels. There's a microSD slot that can take up to 128GB cards, and the Mate S is available with 32/64/128 GB of built-in storage. First impressions of the Huawei Mate S are excellent. It has a stylish, well-constructed metal design with intricately chamfered edges, and an all-glass front with virtually an edge-to-edge 5.5-inch, 1920x1080 display that's covered in Gorilla Glass 4. Around the back, there's only so much camera lens you can fit into a 7.2mm-thick body, so consequently the lens bulges out slightly around 1mm from the rest of the rear panel. In fact, it's actually the 5.5 inch screen size and resulting 149.8 x 75.3mm length and width that are trickier to pocket, although a 156g weight is impressively light for such a large device. As with most modern smart-phones, the Huawei Mate S isn't particularly ergonomic when used as a camera. The bezel is too slim and slippery to grip with much security, and with a front panel covered mostly in touch-sensitive screen, there's little space to rest your thumb/s without inadvertently activating a screen control. Of course, you can get round these issues by fitting a grippy case, providing you're happy to hide the Mate S' svelte lines. 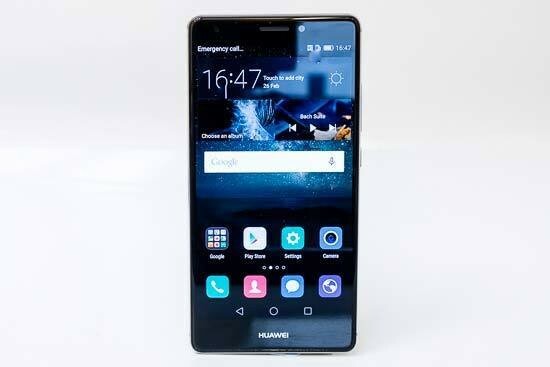 Apart from their aesthetic drawbacks, phone cases can often restrict battery access, but you needn't worry about that with the Huawei Mate S, as the unibody design means the battery is not user-accessible. On a more positive note, Huawei have included a Micro SD slot so you can expand the phone's built-in storage. The Mate S comes in 32GB, 64GB and 128GB versions, and the Micro SD slot means you can more conveniently use a memory card to transfer photos between the Mate S and your computer. The Mate S also uses a standard Micro USB data connector, and accessing photos is as easy as navigating to the phone's DCIM-titled photo folder via Windows Explorer or Apple Finder. One area where the Huawei Mate S slightly lags behind its main rivals is screen quality, as it's "only" a FullHD panel. 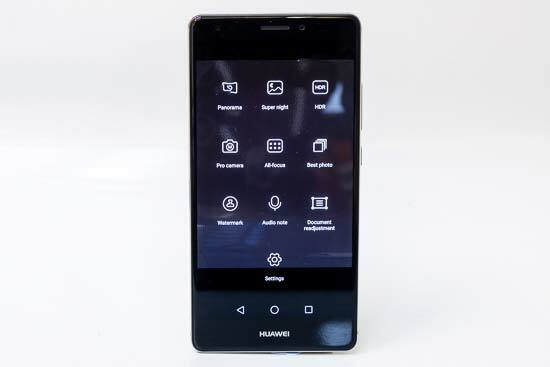 Huawei have chosen AMOLED screen technology for its great contrast and colour vibrancy, although in our testing the Mate S' screen proved harder to view in sunny conditions than a decent traditional LCD monitor on a standard camera. However, the latter is thoroughly trounced by the Mate S when it comes to screen size and resolution. Composing and reviewing images on the Mate S's 5.5-inch display is an absolute joy when compared to the 3.0 and 3.2-inch screens on most regular cameras, allowing you to show off your shots like no other compact camera can. The Mate S screen's colour vibrancy is perhaps a little over-the-top, but you can alter the temperature of the screen if you'd prefer a cooler look. The screen also sports a 1920x1080 FHD resolution and with 401 pixels per inch, you'll struggle to see any individual pixels. When you want to take a photo, you can either double press the Huawei Mate S's shutter button, or wake the lock screen and drag the camera icon upward. The volume buttons on the side of the Mate S can also control different aspects of the camera including firing the shutter, zooming in and out, or starting video capture. But the majority of the Mate S's camera controls use the touchscreen. In the top left (when viewing in portrait orientation) there's a small icon which accesses the flash settings, in the middle is the Selfie mode icon for switching to the 8 megapixel front-facing camera, and on the right is the Camera Mode icon, which contains 9 settings including Panorama, Super Night, HDR and the important Pro Camera mode. This is very much like the Program Auto mode on a regular camera. In this mode, the Huawei Mate S lets you alter the metering mode, exposure compensation, ISO sensitivity, shutter speed, white balance, and the AF mode, with additional self-timer, AF assist and grid line options at the top of the screen. The HDR function helps to even out tricky exposures, for example where a bright background would normally throw the foreground into deep shadow. You can see from the examples on the Image Quality page that this feature produces a photo with noticeably more dynamic range than one taken using one of the standard shooting modes, but at the same time without replicating the often "false" look of many HDR programs. The Panorama mode lets you capture a panoramic image very easily without the use of a tripod. All you need to decide is whether you would like to start from the left or the bottom. Then press and hold down the shutter release while doing a "sweep" with the camera in hand. After you are done with the sweeping, the camera does all the processing required, and presents you with a finished panoramic image. The All Focus mode allows you to change the focus point of the shot after you've taken it, working best with close-up subjects, while the Best Photo mode takes a continuous burst of up to 10 images and allows you to choose your favourite one after the event. Back to the main preview screen on the camera app and you'll see a few text-based options at the bottom above the circular shutter release icon - Light painting, Beauty, Photo (the default mode), Video and Time-lapse. The Playback and Effects icons are on either side of the shutter release icon. All in all, it's a well-thought-out layout that's more complex yet easier to use on some rival devices, although we wish that it was easier to jump into the Pro Camera Mode. 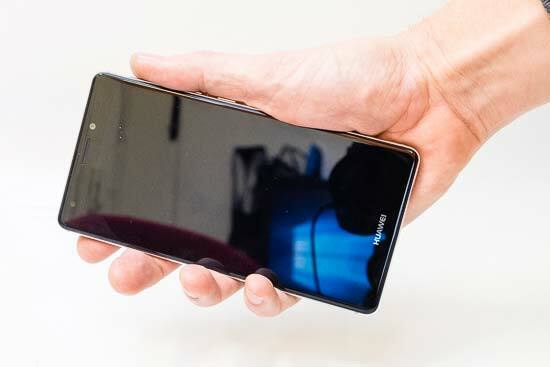 We'd describe the general performance of the Mate S as very snappy, with little waiting around for the camera to take a picture - its certainly just as responsive as the majority of compact cameras that we've reviewed. 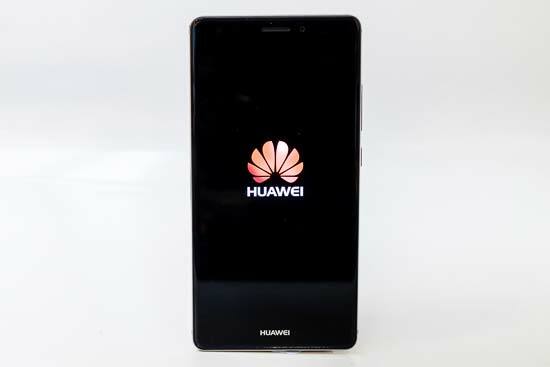 The Huawei Mate S can shoot High Definition video clips at full 1080p or 720p HD with stereo sound in the MP4 format at 30fps. There's also a VGA (640x480) QVGA (320x240pixels) and an MMS friendly option (176x144 pixels). Note that you can't take a still image during video recording. The Huawei Mate S incorporates a 2700mAh Lithium-ion polymer battery, which just about lasts for a day of "normal"activity. How well this translates into the amount of photographs you can snap per charge of course depends on all the other elements of the phone that are sharing the power pack, but avoid internet browsing and using GPS and you should find the Mate S can easily snap as many shots per charge as a typical compact camera.